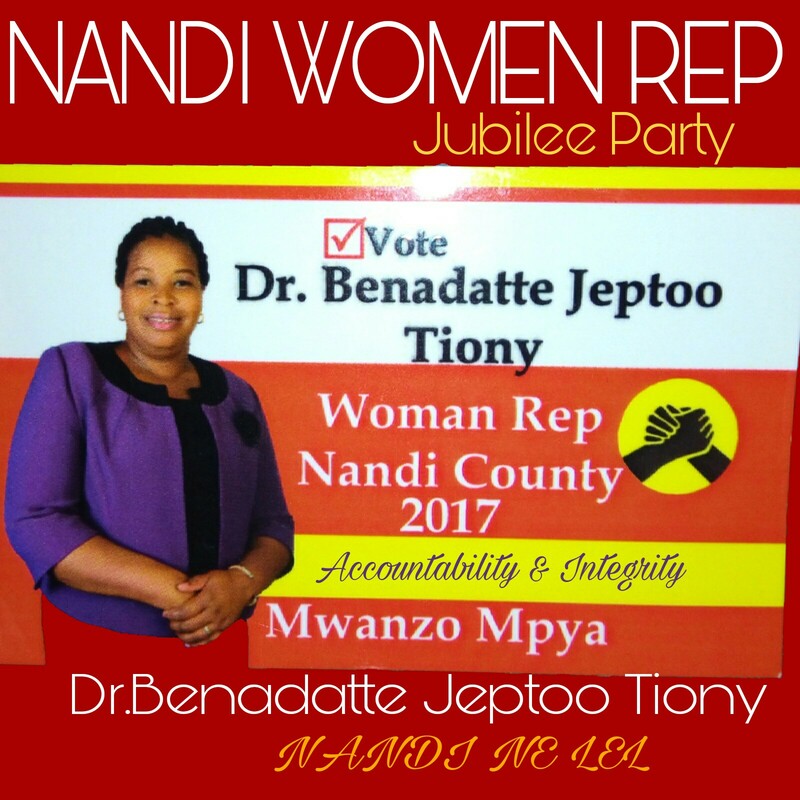 ​The Women Representative Race of Nandi County has got yet New vocal aspirant who is going to battle out with the incumbent Hon Zipporah Kering who is said to druming her support for Re-election. The Race so far has got more than 6 Aspirants who are all going to Battle out for the Jubilee Ticket in the Nomination and each aspirants hopes to get the tickets. The triumph entry of Dr.Benadatte Tiony in the Race may have spark the most historic event, Speaking During a Voter Mobilization exercise,she urged the Residents to turn up in large numbers and vote for leaders who are going to bring Development to them. Dr Benadatte Tiony Promised the Residents of Fulfilments Accountability and Integrity Development of Empowerment of the Women and Youths in the County. Others on the race include the incumbent Zipporah Kering, County Public Service Board Chairperson Esther Letting, Dr Tecla Tum,among other aspirants on a Jubilee Ticket.